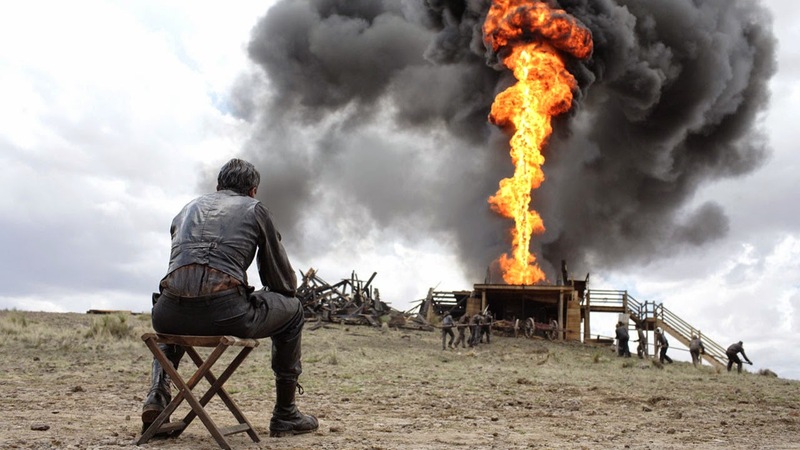 There Will Be Blood In The Oil Market: Where Will It Flow? Oil's rapid decline over the past six months has taken the global financial community by storm. There has probably been more written on oil since November than the previous 5 years combined. The discussion around oil goes much further than whether or not to buy energy related assets because oil prices can impact entire economies both positively and negatively. Negatives: Oil price declines hurt oil producing nations. Countries like Russia depend on oil exports for a large portion of their country's revenue. The energy boom in the United States has been responsible for a large part of the new jobs created since the financial crisis and many of these jobs are high paying. As shale producers can no longer open new drills, job expansion may slow or even reverse in this sector. The price declines will lead to economic pain in both Russia and the United States. Positives: Oil price declines help other sectors of the economy. If people are spending less on gas, they have more disposable income to spend in other sectors (restaurants and malls). This makes the cost/benefit argument go two ways for the United States as many have argued the economic pain from the energy sector will be offset by the economic boost in other areas. This is true, but the question is how much? My guess is overall it will be a net negative for the United States. However, for an emerging market like India or a developed nation like Japan it will certainly be a net positive on their overall economy. There is another part of the oil discussion I find a bit more interesting, which is centered around where the losses will be incurred? In other words, who is in trouble? When the U.S. housing market began to roll over back in 2006, forecasters could do a quick back of the envelope calculation on how many subprime loans were issued, which then provided a baseline estimate of how widespread the damage could be. However, it was the secondary impacts and the hidden losses that were impossible to know, mostly because the financial world existed (and still exists) in a dark shroud of balance sheet secrecy (especially in the world of derivatives which we will discuss in a moment). When David Einhorn was railing into Lehman Brothers on conference calls in the spring of 2008, asking for more information on the depths of their real estate exposure, even he at that point could only guess how bad it was (he guessed right and shorted the stock all the way to zero). 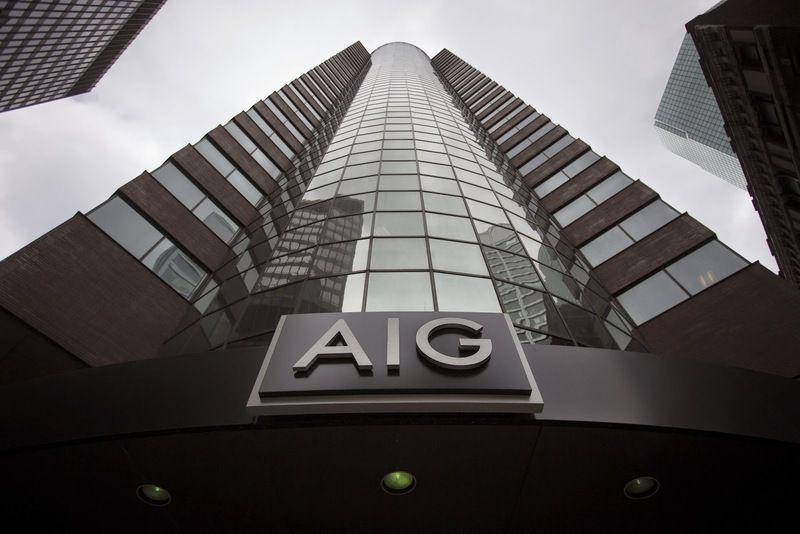 No one knew entering the fall of 2008 that AIG had insured the bulk of the subprime mortgages across the planet and held essentially no capital reserves to cover losses (the Fed stepped in with a $190 billion backstop for AIG to keep the financial system from imploding overnight in September 2008). The reason I take this walk through memory lane is because people seem to be so sure today exactly where the losses are sitting following oil's recent decline. The United States poured $5.4 trillion into the exploration and drilling (fracking) sector of the United States over the past 8 years (this number is larger than the entire suprime mortgage market at the peak of the crisis). A large portion of these drilling start up costs were financed through junk bonds. When a young team of frackers approached the bank for a loan they presented their business plan with a price of oil included in that plan. With oil hovering above $100 over the majority of the recent boom they may have used a number like $90 (to be conservative). The bank probably asked, "how can you guarantee you'll be able to sell the oil you produce at $90?" Here's how: Oil producers can set up swap agreements with major banks. The banks promise to pay the producers $90 for every barrel they produce. If oil falls to $47 (where it his this week) the bank must write a check for $43 for every barrel produced to cover the difference. This safety net allowed the massive amount of junk bond insurance in the U.S. energy sector to occur over the past decade. You can see how any banks that set up this swap agreement are incurring huge losses right now, not the frackers or the bank that initially lent them the money to begin their operation. The mine is still cash flowing beautifully at $90 a barrel. Why would a bank set up a swap agreement like this? They collect on the upside. If oil rose to $120, as everyone in the world expected it to over the next few years, the banks captured a $30 profit on every barrel of oil produced and they didn't have to lift a finger to get it out of the ground. "Aha!" you say, "we have found the losses!" Not so fast. After the banks set up these swaps they could then (and most probably did) go out into the derivatives market and hedge a large portion of the contract to limit their own potential losses. Another entity, essentially betting on an oil rise and not believing it was possible for it to fall below $80 a barrel, may have stepped in to take this "no risk" bet. This entity could have been a major hedge fund using an enormous amount of leverage. If the price of oil fell below 75 it could instantly wipe away their entire capital base due to the massive leverage in the position. Is this where the losses will occur? No one knows. The point of going through this thought experiment is to show there is not a direct correlation between oil's decline and where you can expect something to blow up. 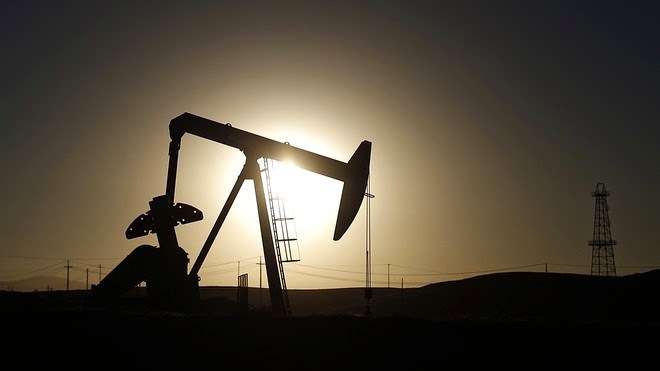 Everything is interconnected in the financial system so if a trip wire is cut in a Texas oil field a bomb may go off in a hedge fund building in London or Tokyo. There will be blood, but we'll have to wait and see where it will flow. 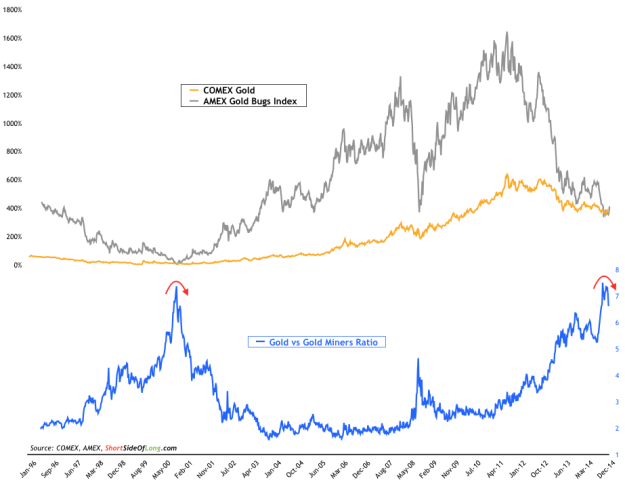 Unlike energy stocks which have held up relatively well compared to their underlying asset (oil and natural gas), the gold mining shares have fallen far more relative to their underlying asset (gold). When a bottom is put in it is likely they will outperform on the way up. Everyone Has Their Price: What Is Your Favorite Athlete Worth? I came across this fascinating graphic this morning. 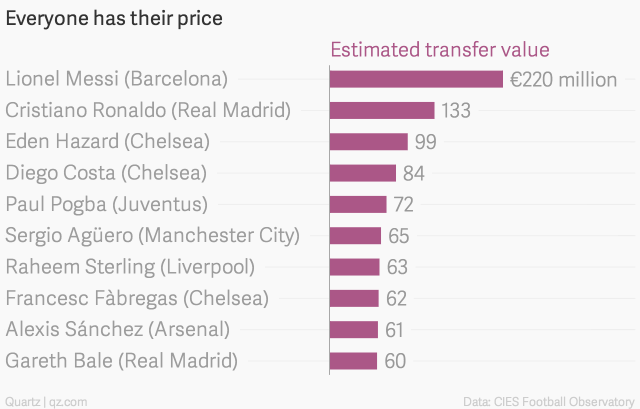 While it's probably common knowledge for those living outside the United States, soccer players can be bought and sold mid season if the price is enticing enough to an owner. Nothing like this exists in major American sports where players are under contract unless a trade can be arranged for equal or better return of players (and/or draft picks). 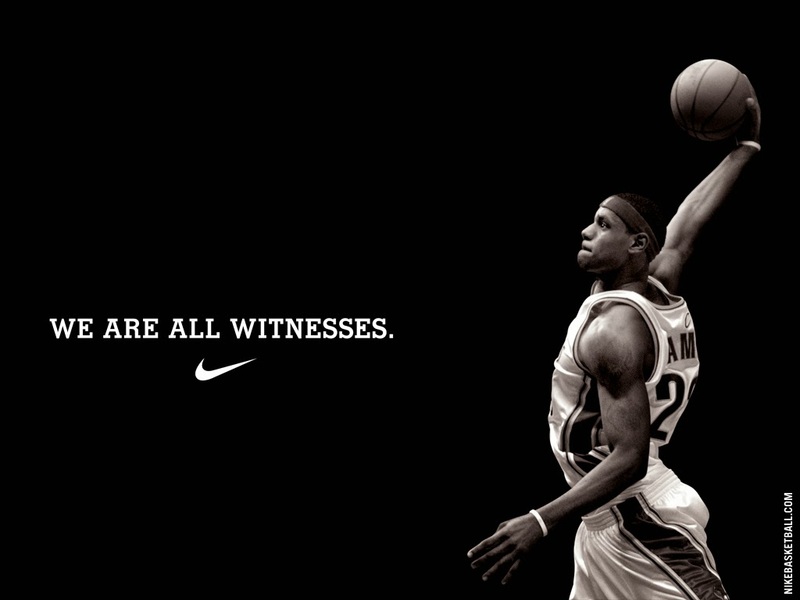 The biggest sports star in America is Lebron James, a professional basketball player. This has me wondering; what is the free market price one of the billionaire owners would pay the Cleveland Cavaliers owner to pry James away from their team? My guess is that it would rival or exceed the estimated transfer value for Lionel Messi because James has the ability to instantly add $300 million (or more) to an NBA team's value (the L.A. Clippers just sold for $2 billion). As the graphic says, everyone has their price. Why Are Young Americans Not Starting Companies? I came across the fascinating chart below this morning in a Wall Street Journal article. It shows the share of households headed by someone under 30 that have a stake or own a privately held business has reached only 3.6% in the United States, a 24 year low. I think the statistic is actually worse than it initially sounds because if you have a stake in a company it could have been given to you by a parent who started a company previously. Why are young people not starting companies? First some thoughts from the WSJ and then some thoughts from me. "Young entrepreneurs face formidable financial hurdles. The average net worth of households under 30 has fallen 48% since 2007 to $44,354. More than half of 18-to-29-year-olds reported one or more financial problems in the past year, a 2014 Pew Research Center survey found. Their poorer financial condition hurts young graduates’ ability to tap their own savings, draw equity from a home or obtain bank loans to cover their startup or ongoing business costs. 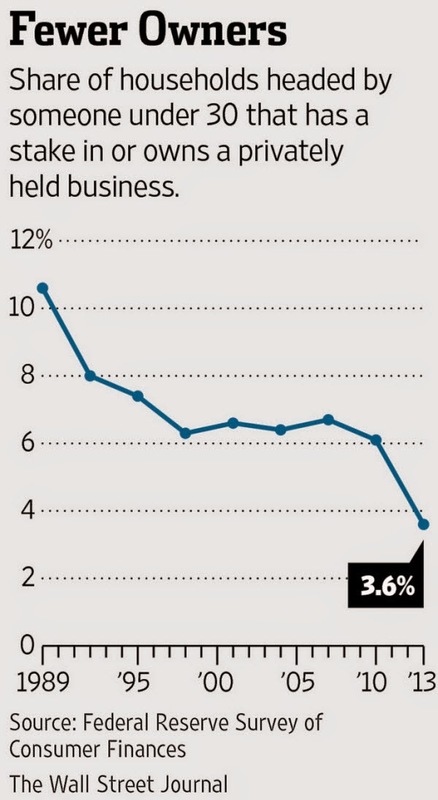 The decline in business ownership among young graduates also reflects a relatively low appetite for risk. Young people have less confidence, said Donna Kelley, a professor at Babson College. In an annual survey she oversees, more than 41% of 25-to-34-year-old Americans who saw an opportunity to start a business said fear of failure would keep them from doing so, up from 23.9% in 2001." I started my first business when I was 29 so I'm part of this data set. I shut down the business about 8 months later and began the process of opening my second business, which is still running today. I can try and provide some reasons from personal experience (which are not normally discussed) as to why someone may or may not want to start or continue running their own business. 1. It is extremely difficult. You have to be ready to dedicate your entire life to the company, especially in the early stages. That goes beyond having the personal will to do so. It also means if you have a significant other they have to provide you with both the support and understanding surrounding the process. Employees turn off their working minds at 5:00 and go home to spend time focusing on their families or leisure. Entrepreneurs often work late into the night and weekends. It can be draining both for them personally and their families. If something goes wrong, there is not always someone higher up the food chain that can handle it. You are at the top. 2. It is psychologically exhausting. This goes beyond the fear of failure which is the number one reason for not initially starting a company (discussed above). When you are an employee at a company and you do a great job (if you have a good boss) they will let you know on a regular basis how well you are doing and how much they appreciate your great work. Once you reach a certain income to sustain a comfortable life, hearing that you are doing a good job and having personal satisfaction in the work you are doing is more important than receiving additional income. Beyond the fact that I have seen this first hand in the business world, endless tests have proven this to be this to be true. For more on this subject I would highly recommend watching this brief video: Revisiting Drive: The Surprising Truth About What Motivates Us. Daniel Pink's book Drive has helped me gain a better understanding of how to motivate employees than probably everything else I have read on the subject in my life combined. Why am I discussing all this? When you own your own business no one ever tells you that you are doing a good job. No one ever tells you that they appreciate all your hard work. That may sound silly, but I assure you it is probably the most important and least discussed part of success and failure in starting a business. I am probably less intelligent and have a weaker set of business skills than many of people around me, but I get up very early every single morning (including weekends) excited to start working. No one ever has to tell me thank you for working relentlessly long hours like a psychopath, which I think has helped me tremendously thus far in my entrepreneurial business life. 3. Catastrophic things can happen financially. When you own a business you open yourself to an entirely new world of audits, lawsuits, unemployment charges, worker's comp, etc. While employees are the most heavily taxed, they are also the most protected by the government. You find yourself on the opposite side of the fence as a business owner. An employee can hurt themselves or come at you with a lawsuit for almost anything . Assets can be protected to an extent within a corporation, but major unexpected expenses can appear overnight. It is all on you. What are the benefits taking the plunge into this life? 1. There are enormous tax advantages for being a business owner (and/or an owner of commercial real estate). The government wants people to start companies and hire people. They designed the tax system to incentivize people to do so. People who say taxes are killing business in the United States are probably not small business or commercial real estate owners. It is a major reason why I dedicate my life to learning how to build businesses and buy commercial real estate. 2. Creating and running a business is like playing a sport that never turns off. If you are a competition junkie, then the world of entrepreneurship is like a sanctuary. When I take a major customer from one of my competitors I get the same feeling a drug addict receives after taking a shot of heroine. 3. Freedom. This is the reason most people provide for starting a business. As I just mentioned, I like to get up at the crack of dawn and start working. If I have work I need to get done I don't mind working for 12 straight hours to make sure its done. However, if I'm caught up with everything I like to do something else. I play a full court lunch time basketball game twice a week at the gym. I often take my wife to the movies on a weekday afternoon when the theater is empty. At a job you are told to sit in your chair until 5:00 pm if your work is done at 3:00. While this site focuses almost exclusively on finance and economics, it will become more dedicated to real estate and business when the commercial real estate markets crash in the United States in the coming years (and buying opportunities appear). Things will be a lot more exciting during that period because as everyone is filled with terror and dumping real estate there will be a once in a generation opportunity to purchase high quality assets at inexpensive prices. Forget the 1%, the top 0.1% controlled over 22% of the wealth in the United States through 2012. This percentage is certainly far higher today as stocks, real estate and bonds have appreciated significantly over the past two years. While books have been written on why this has occurred it can be summed up in far less words. The monetary policies beginning with the Greenspan Fed in the 1980's all the way through to the Yellen Fed at present have been focused exclusively on pushing up asset prices at any cost. Stocks, bonds and real estate have surged and those that entered the boom loaded with assets (the rich) have experienced massive asset appreciation while those that entered the boom without assets (the poor and middle class) have seen their real wages stagnate or decline. This has made it extremely difficult to save and accumulate financial assets because they have essentially been running on a treadmill to survive. It should be crystal clear for anyone that has paid attention over the past three decades that the current central bank policies help the rich at the expense of the real economy. Those not in the 0.1% (myself included) can take solace in the fact that financial crashes hurt the rich the most, and a crash is exactly what is coming. 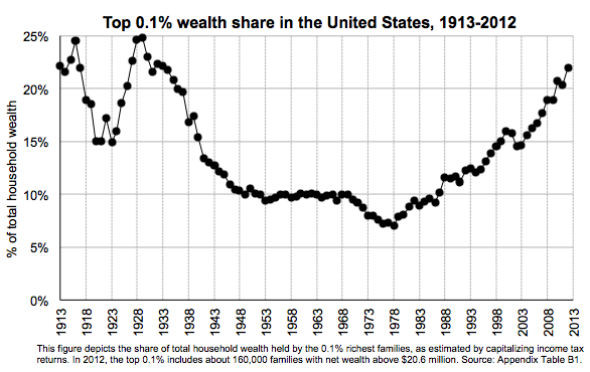 We are closing in on the previous high seen in 1929 when the 0.1% controlled a staggering 25% of the nation's wealth. It was quickly taken away for most of them as stocks, bonds and real estate prices simultaneously experienced the greatest crash in history. The rich discovered asset prices cannot appreciate forever without real growth in the underlying economy. History will repeat again, as it always does.